No move is ever the same, so we realise ever customer has different needs and requests. This is why our Northampton removals team will offer you a tailor made service with your needs and timescales taking priority. We pride ourselves on our efficiency here at easymove Northampton and would love to provide you with a hassle and stress free move. How much we do? You decide. We can do everything for you. We can pack you up, dismantle your furniture, transport everything to your new home or office, re-assemble all your furniture and finally unpack your boxes. If you would rather pack, dismantle and assemble yourself that’s fine, here at Easymove Northampton we’ll even send you the boxes. 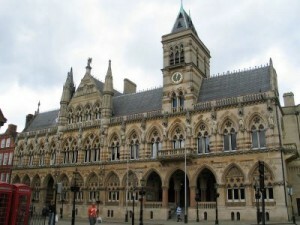 Our removals Northampton team are dedicated and reliable and we are confident you will not be disappointed. Nobody likes nasty surprises. So with Easymove the initial quote you receive is what will be on your final bill for the removal. The quotes we give are solely based on the information provided and the observations made by the consultant. The price will include all your moving equipment, insurance and the removal itself. In the unlikely event any items are damaged in transit or whilst packing/unloading you will be ensured up to the amount of £100,000, the insurance is included in your overall price quoted. When you book with us for your removal we will take the pressure and strain of moving off of your shoulders and place it on ours ensuring you have a stress-free and pleasant move. Our removals Northampton team are all fully trained with years of experience and we are more than confident they will surpass your expectations and contribute to a pleasant move. We will do both office and house removals in Northampton area. Loading- All your items are loaded up in a pre-planned way making it much more efficient, this will help you keep track of all your valuables and when un-loading the team will tackle one room at a time. Making the move quicker and reducing the stress as all your items are accounted for. We will also offer furniture covers to protect your upholstery. Transportation-All of our vehicles are driven by fully qualified and experienced drivers, your belongings will be strapped down and protected in order to avoid and unnecessary damages. Unloading- When unloading all your furniture will be re-assembled and all your items will be placed in the appropriate rooms. We will also use removal blankets to protect your new home from scrapes and scratches. The full Monty- Our house removals team in Northampton are fully qualified and have years of experience in packing, transporting and storage. We will pack all your things for you in a matter of hours and then transport your belongings to your new home, we will also provide plastic furniture covers to protect all your upholstery. Fragile packing- Needless to say we are very careful with all of your belongings, however if there are any items in particular that you feel would require extra attention our removals team in Northampton will take the time to assure your valuables remain safe and in good condition.